We all know very well that Razer the well-known brand of computer peripherals focused on gaming jumped into the market of smartphones and was the first company to launch a smartphone for gamers. However, now according to the latest reports, the well-known Chinese smartphone manufacturer Xiaomi to launch Razer phone competitor with the aircraft-grade cooling system. Razer was the first company to launch a smartphone for gamers. Although the South Korean giant Samsung, LG or Sony – among other manufacturers – have high-performance terminals, the Razer is specifically focused on its use with video games. And something like that also wants to do Xiaomi, although not under its main brand but with ‘The Black Shark’ other brands like Huami and Mijia. With the Razer Phone, the well-known brand of computer peripherals focused on gaming jumped into the market of smartphones betting on a very special hardware configuration. With Qualcomm Snapdragon 835 processor, like many others, and accompanied by 8 GB of RAM as well. But, it has a 120 Hz screen like no other smartphone. However, now it seems the well-known Chinese smartphone manufacturer Xiaomi wants to also target this segment. Once again, not under the main brand Xiaomi but under a secondary: The Black Shark, in which the Chinese manufacturer participates as it does with Huami or Mijia. The well-known Chinese smartphone manufacturer Xiaomi has an important participation in The Black Shark, which defines itself in the social network Weibo as a manufacturer of smartphones. And as it has been known through a leak, this brand is already working on a smartphone with a high-end processor accompanied by a system of ‘Aircraft-Grade level cooling’. 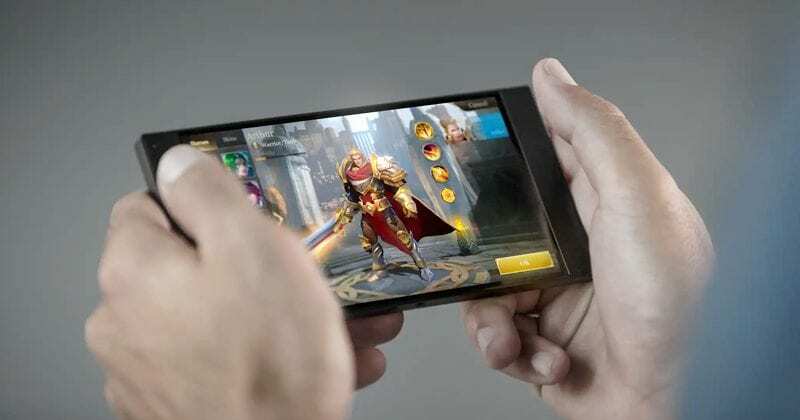 Its technical specifications are not known in detail, but this first smartphone for Xiaomi gamers would come equipped with a DSP (digital signal processor). The precise technical characteristics of the terminal are unknown for the time being and, of course, when it will be available in the market. In fact, being a ‘second brand’ of the Chinese manufacturer, we can hardly find it in India directly. As it happened before with many smartphones of Xiaomi, we will have to resort to the import to get us with the smartphone that is preparing The Black Shark. So, what do you think about this new gaming smartphone of the well-known Chinese smartphone manufacturer, Xiaomi?Simply share all your views and thoughts in the comment section below.